Mark is a licensed Physical Therapy Assistant (PTA). 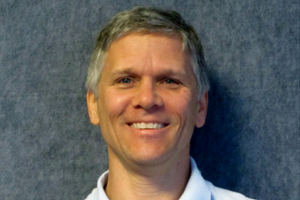 Mark joined the ACI team in January 2012 after earning an Associate of Applied Science in Physical Therapy from Guilford Technical Community College. While a student at Guilford Tech, Mark completed clinical rotations at Cone Health Acute Care in Greensboro; Healthy Back Clinic in Asheboro; and High Point Regional Outpatient. Mark’s Physical Therapy training is complemented by his 15 years experience in customer service, exercise and wellness from his previous career as a fitness expert and personal trainer. He previously worked as a Work Conditioning Assistant at the Guilford Orthopedics and Sports Medicine Center and as a Certified Personal Trainer at a weight loss clinic, both in Greensboro. Prior to pursuing a career in healthcare, Mark earned a Bachelor of Science in Business from Catawba College. Mark resides in Greensboro with his wife, Shelly, and their two dogs. He stays active by working out and running.